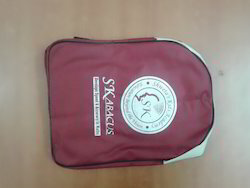 Manufacturer & Exporter of Abacus Bags. Our product range also comprises of Abacus Books, Abacus Study Material. We, a most emerging firm in this domain, engaged in manufacturing, supplying and exporting Abacus Bags. This will help you to keep the abacus safe and take it to any where easily and comfortably. Our range is designed from the finest quality material as per the norms of market. We provide these bags on numerous prints & sizes as per customer’s choices.